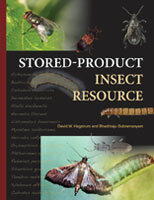 No other reference offers such an extensive hands-on guide to the most common stored-product pests. 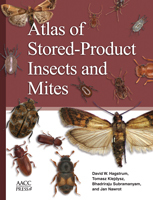 Atlas of Stored-Product Insects and Mites includes photographs and summary information for each of the 235 stored-product insect species. Summary information includes common names, synonyms for scientific names, records of geographic distribution, suitability of commodities as insect food and commodity infestation, literature citations for life history studies, and a list of natural enemies. Similar summary information is provided for 280 species of mites (Acari) reported to be associated with stored products. The high-quality photographs and summary information make this reference essential to the fast and accurate specific identification needed for effective pest management. 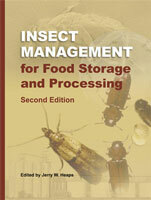 The authors also cover the tools and information that should be considered when developing a pest management program and provide reference sources for additional information on pest management.